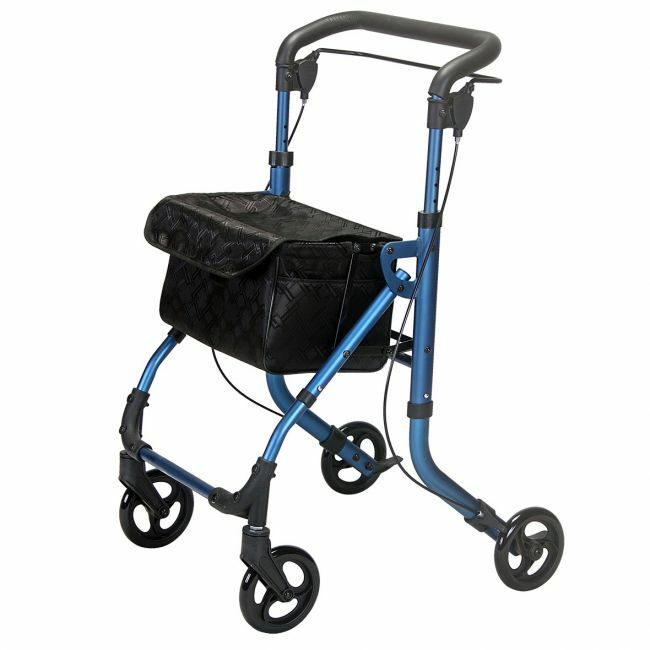 The Elite Care Drift indoor walker, weighs only 5.8kg and includes a tray, useful bag and single handed brake operation. Very narrow with a width of only 57cm (22”) ideally suited for use in tight spaces. Foldable for easy storage and transportation and locks when folded up for easy handling. Extremely lightweight aluminium frame weighs only 5.8kg (with basket and tray). 15cm castor wheels with solid tyres, the front 2 swivel. Height - 82cm / 32" to 95cm / 37.5"
Depth - 61cm / 24"
Folded Width - 57cm / 22.5"